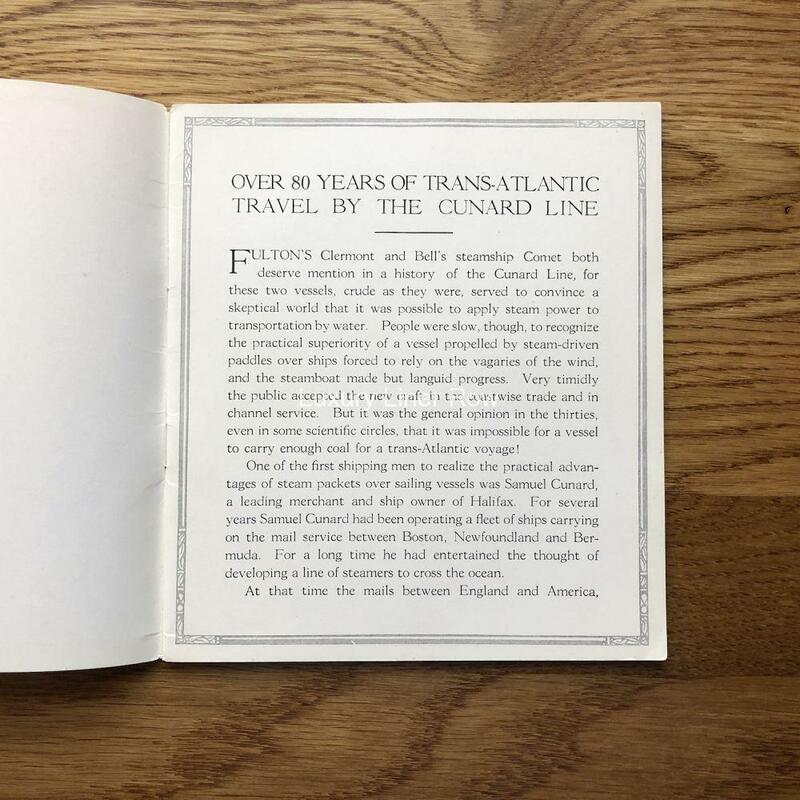 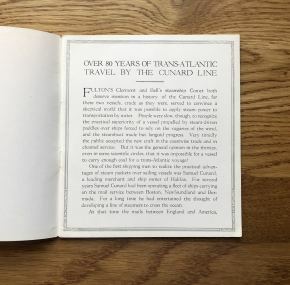 Great brochure produced in 1922 about the history of Cunard. 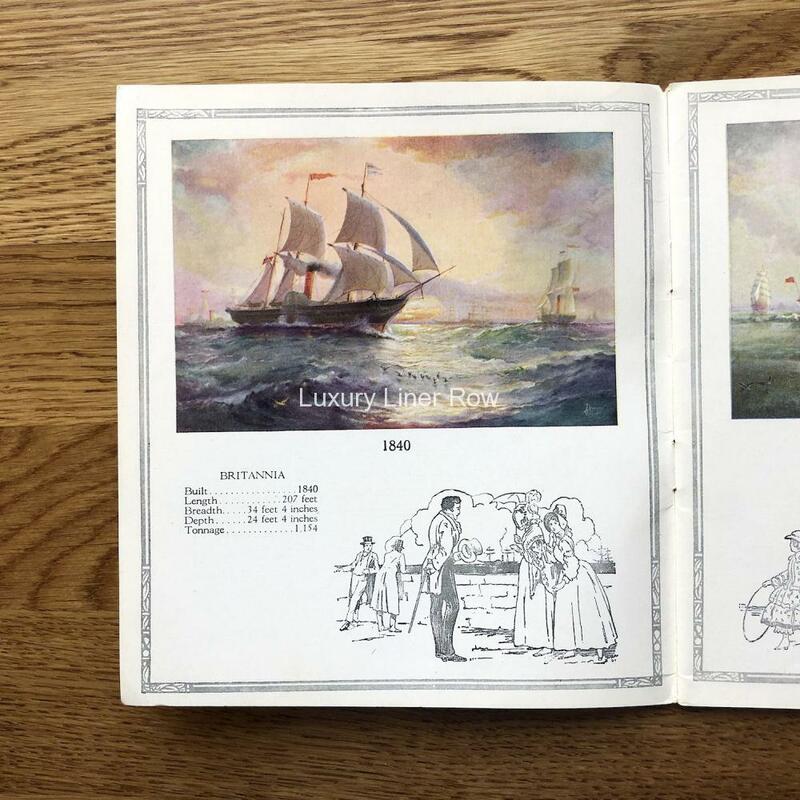 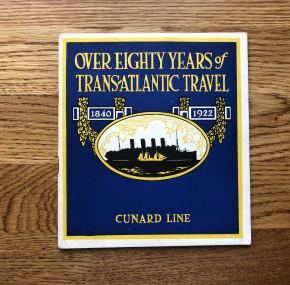 32 pages with 13 color paintings of various Cunarders through the years and underneath each is a list of statistics of the liner. 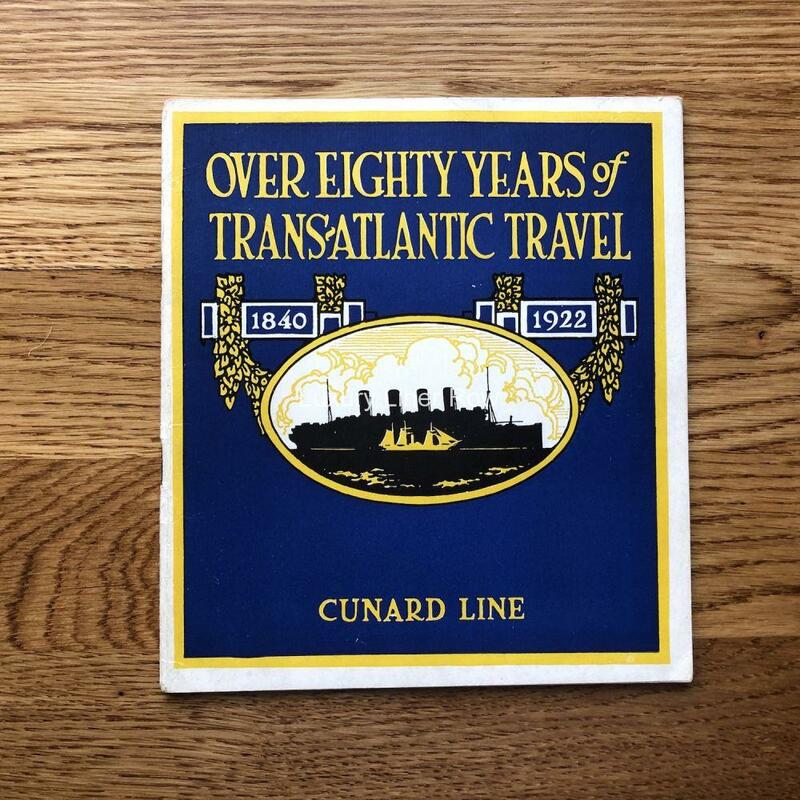 In the back of the booklet is a table giving the relative sizes of Cunard ships since 1840.